Today I would be talking about a book which falls under the genre of Self Help and Motivational Books. 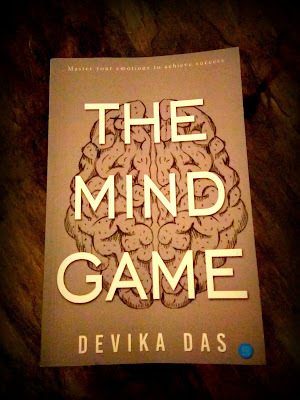 It is Devika Das's one of the recent launched books, The Mind Game! 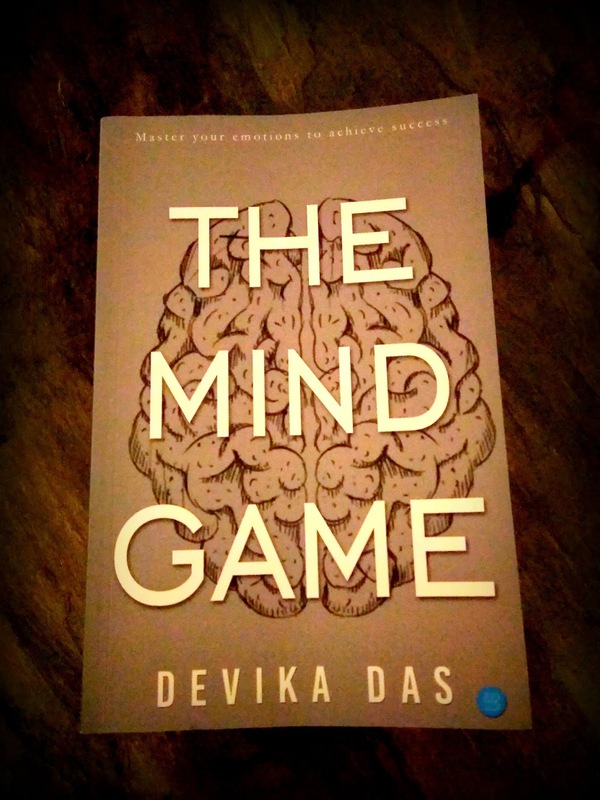 Plot Summary: Happiness, Stress, ecstasy or depression, it's all a mind game. As long as our mind is in our control, everything else is. 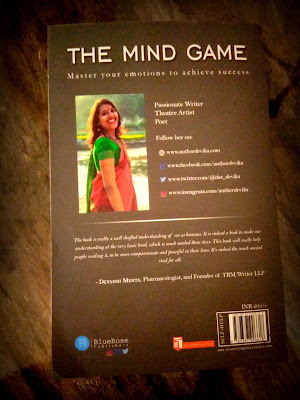 The Mind Game talks about this in detail. It is not an average self help book that preaches life- enhancing methodologies based on complex science or long philosophical verses. The book's genius lies in its simplicity. It offers quick actionable and instantly applicable tips that will help readers leas better lives without much effort. 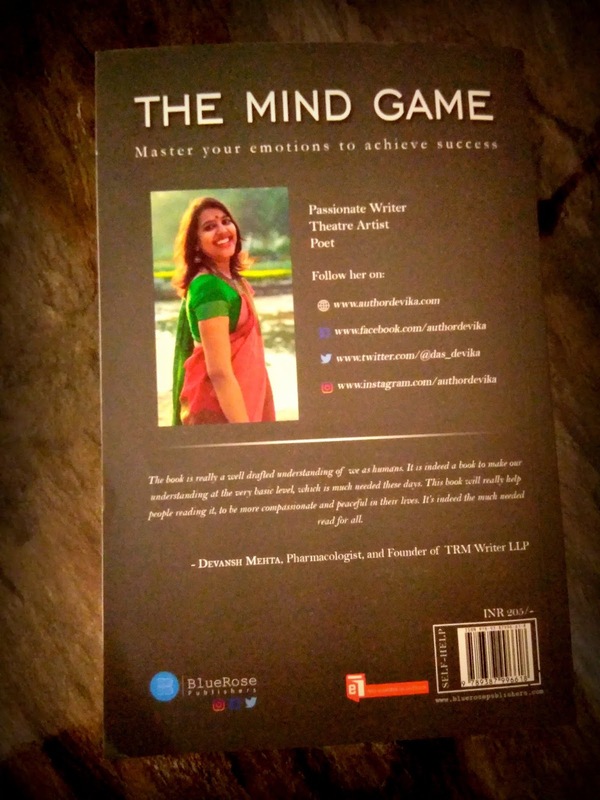 The Mind Game falls in the self help category of books. The book is divided into various sections and chapters. 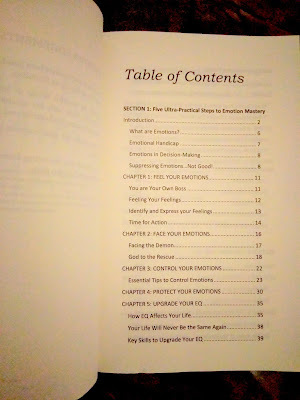 You can start reading the book from the very beginning or you can directly skip to the chapter, which interests you the most. The book is written in a very systematic way and with a proper clarity. The book talks about various issues like What exactly is a Depression and what are its symptoms and types. How to maintain a positive attitude at your workplace. How to enjoy at your workplace. It also even talks about employee motivation. The book will also be very helpful for the teenagers, who sometimes fail to understand their emotions or how to face them. Having emotions is not a bad thing! Overall the best thing about the book is that it is just not about a single topic, rather it cover a huge range of issues and topics about a human psychology. There are emotions and things we deal in our day to day life but never think how to actually address them. This books will help you to understand the issue and them face them and not be scared. It is all about understanding one's own mind. Although like all the self help books, these could be a little heavy sometimes. But this one is surely one of those practical self books which can be followed or to which you can relate to.